Order CEMA standard-duty and heavy-duty pulleys for both your belt and bucket elevator applications from IBT. 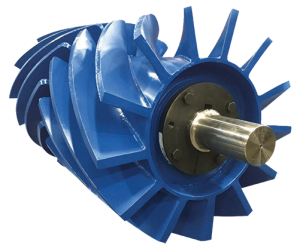 We offer a full line of conveyor pulleys and accessories at competitive prices from names like PPI, Douglas, Martin and PCI. Select from a wide range of: Drum Pulleys, Lagging, Spiral Drum Pulleys, Wing Pulleys, Spiral Wing Pulleys, Hubs, Bushings, Shafts. IBT offers drum pulleys from leading manufacturers that ensure quality reliable products. Crown faced pulleys will greatly assist with belt tracking and provide years of worry-free use. Unique to PPI is their Pro-Duty Series that is designed around an integral end disk and hub design, these come with XT Bushings that provide tremendous holding power balanced with ease of install and removal. QD Bushings are available in other pulley designs offered by both PPI and Martin. Single disk Elevator Pulleys are also available for narrow face width applications. 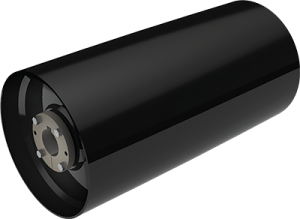 Various Lagging styles are available including vulcanized herringbone pattern as well as field replaceable slide lagging. In the grain industry Neoprene lagging is the norm but other compounds are available for your application. Stocked at IBT’s Grain Division: Ruff Top, pre-formed Craft Lagging and EZ-lag for non-standard pulley diameter or interchangeability. HERRINGBONE WING CONVEYOR PULLEY━An innovative herringbone-style wing pulley by Precision Pulley that combines improved wear, quieter operation and gentle grain handling for those applications where conventional wings suffer from excessive material lodging and wing folding. It has more wings to support thin grain belting and it has rubber flappers to lift grain and throw it back on to the belt in enclosed conveyors. BOOT HERRINGBONE WING CONVEYOR PULLEY━Precision Pulley’s patented Boot Herringbone Wing pulley combines improved wear, quieter operation and gentle grain handling, along with a sensor ring for use with proximity or heat sensors. As specialists in the conveying systems field, IBT Industrial Solutions understands the importance of good systems application in achieving optimum efficiency. With our years of experience in providing conveying systems and components, you can rely on IBT for the best solution to your problems. contact Jim Boatright, the Conveying Systems Business Group Director at IBT Industrial Solutions for more information on grain conveyor pulleys.